A young boxer Andrzej Leszczyc not only has to face a tough boxing opponent but needs to make some serious personal and professional choices. If you can't have the real thing-- you do all kinds of unreal things. Michael 'Mike': I love her. Cinema Owner: You perverted little monster. Okay, here's a cine-challenge. There are some films that take you back to a particular time in your life at absolute warp speed. Frequently, these films are reasonably universal, but their associations might be obfuscated, personal and subjective, never understood even by your friends unless explained. 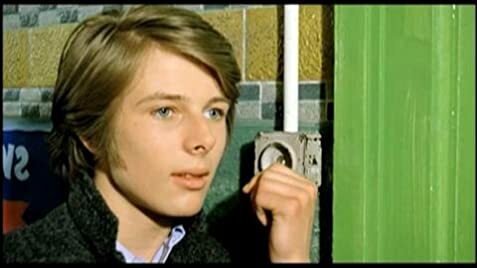 One such film, which chronicled absolute obsessive teenage love and its destructiveness was a wake-up call to a frequent, formerly obsessive type, myself in my misspent youth. This and the film's innate mastery instantly time-travel me back to days that were simultaneously more innocent and more complicated than today, late night smoky college discussions in a candle-lit apartments. And that film would be "Deep End" directed by Jerzy Skowlimowski, pal of Roman Polanski, with the same great mix of bizarre sensibilities and takes on life, done in professional, Hollywood-caliber production, even if on an indie budget. This is a dance of death pas de deux between a teen boy working at a grimy public pool in Britain, all hormones and eagerness, and his slightly older female co-worker, who's both a beauty and a inveterate tease. These two should never have been allowed to work together, as he quickly fixates on her, stalks her, and she tries to control the situation with her normal, over the top sexual flirting. It's pretty light and entertaining for a while, then it goes south. . . The title is "Deep End," after all. 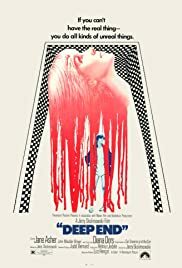 I've rarely seen a such a disturbing, creepy film about young lust that still has you rooting for everyone involved, no matter how wrongly they both behave. That's the sign of a sure cinematic touch.